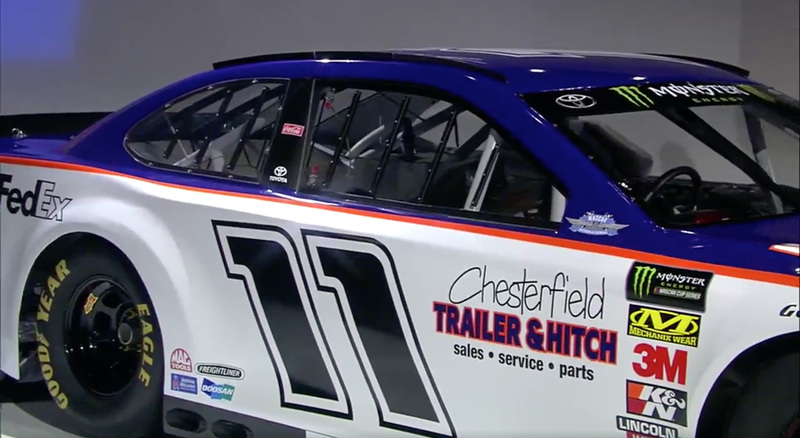 Denny Hamlin will throwback to a 4 cylinder race car for the 2018 Darlington Raceway throwback event. 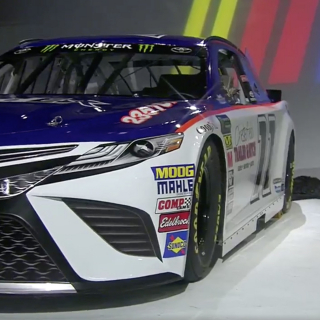 This was the first car that Hamlin ever drove. 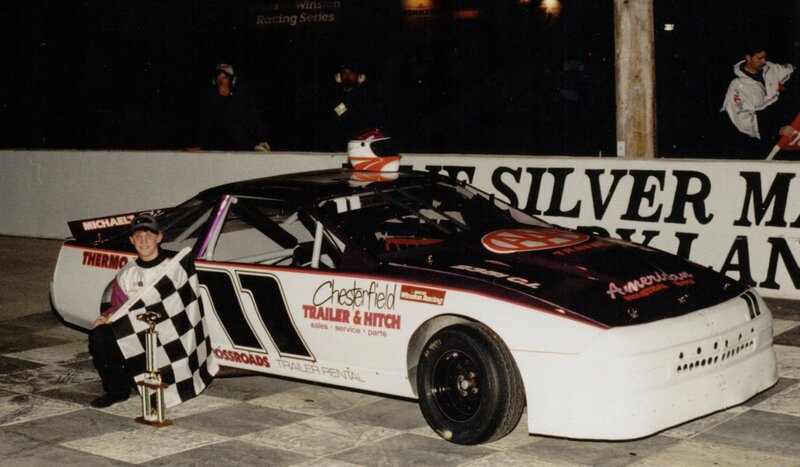 He races the machine at Langley Speedway in Hampton, Virginia and Southside Speedway in Chesterfield, Virginia. “Throwin’ back to my past. Back to the 90’s for me. 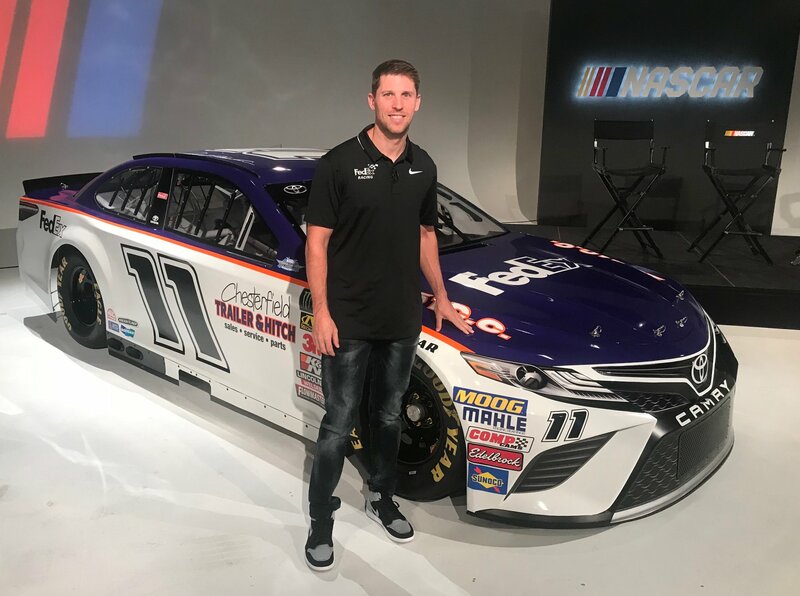 This is what I was doing in 1997 was driving this car,” Denny Hamlin says of his 2018 throwback. Everything matches the old 4 cylinder from 1997. 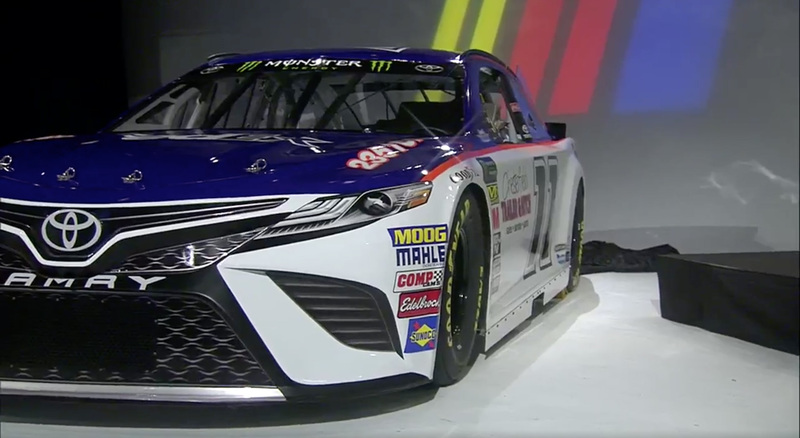 The paint, the sponsors, the number, the driver and the fonts. On the side of the door, sits a new logo. 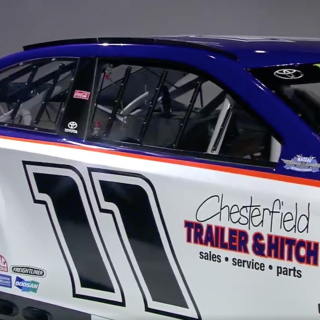 But, it’s not new at all, that was Hamlin’s first sponsor, Chesterfield Trailer and Hitch. 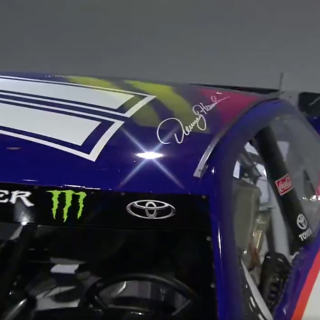 That’s the family operation that funded Denny’s career in the beginning before he showed up for the first time at Daytona and drove to victory lane. The car itself was very basic. However, that was done with purpose. Given it was his first car, they wanted something that could be easy to replace. So, when a fender or two suffered damage, they didn’t have to replace a graphics kit as well. 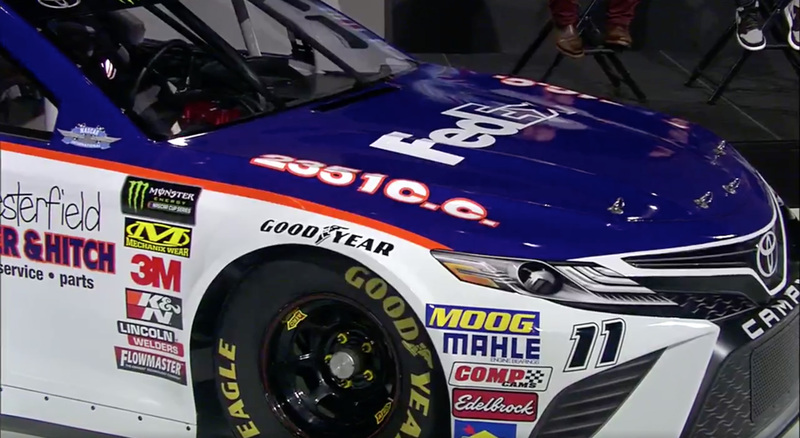 In addition, Hamlin will have a helmet that matches his 1997 helmet as well. “It’s us three, as a family that car belongs to. As a team, we did it. It’s a family deal,” father, Dennis Hamlin stated of the car. “It’s going to be very emotional, mom, Mary Lou Hamlin said. 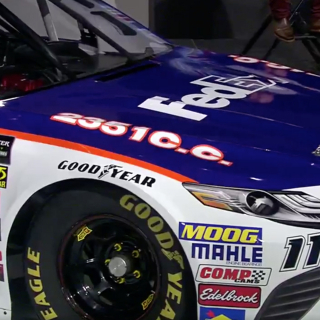 Denny Hamlin has the original car back in his garage. But, he had to reclaim it years ago.